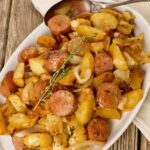 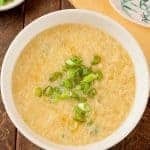 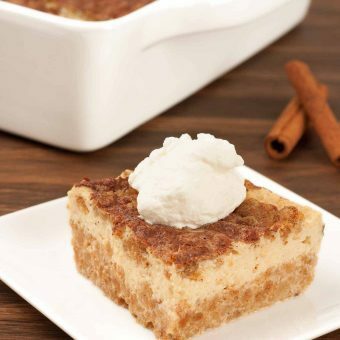 Browse our custard, pudding and bread pudding recipes to find a new, easy-to-make family favorite. 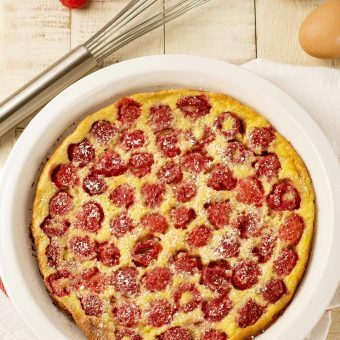 Clafoutis is a rustic French dessert of fresh fruit baked in creamy egg custard. 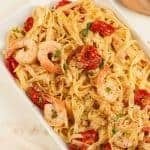 Our basic recipe works with raspberries or your favorite in-season fruits. 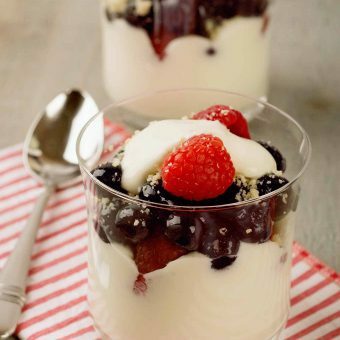 This no-bake cheesecake parfait recipe combines Greek yogurt, cream cheese and fresh berries to make a quick and easy summer dessert. 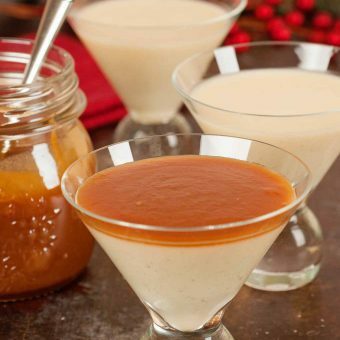 Our holiday version of this classic Italian eggless custard is made with lightly-spiced eggnog, and then topped with homemade caramel sauce spiked with a touch of rum. 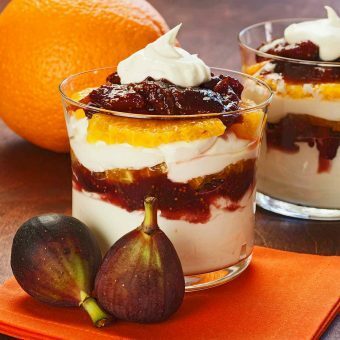 An elegant, fall dessert made with layers of mascarpone cream, fresh figs simmered in port wine, orange zest and slices of sweet navel orange. 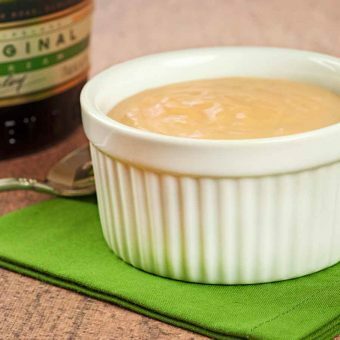 An easy recipe for butterscotch pudding that uses a little Bailey’s Irish Cream liqueur in place of some of the milk for added flavor. 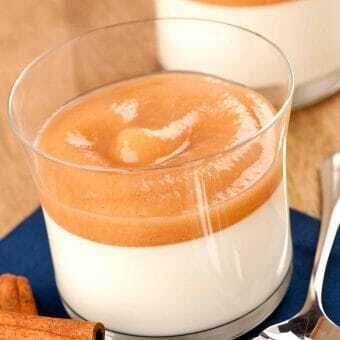 With its silky, custard-like texture and cinnamon-spiced, pear purée topping, this panna cotta is easy to prepare and makes an ideal fall dessert. 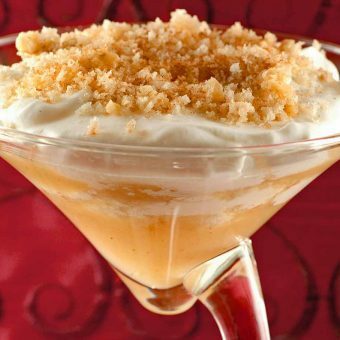 This traditional Norwegian dessert is a delicious combination of cinnamon-spiced applesauce, buttery, toasted breadcrumbs and walnuts and vanilla-scented whipped cream.